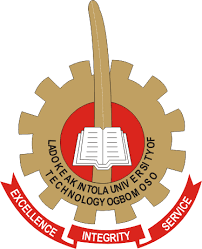 Ladoke Akintola University of Technology, LAUTECH medical registration exercise for the 2018/2019 academic session newly admitted students. The management of the Ladoke Akintola University of Technology (LAUTECH) wishes to inform all fresh students of the university who are newly admitted during the on-going 2018/2019 admission exercise and currently resident at any town in Osun state, that a functional Medical Laboratory Facility for your compulsory Medical Registration is now within your reach. The venue of the Medical Registration is the University Health Centre, LAUTECH College of Health Sciences, Asubiaro, Osogbo, Osun state. Instead of competing with the heavy crowd of your colleagues at Ogbomoso main campus, you are advised to quickly proceed to the facility and have your medical Laboratory investigation done. Kindly bring the results of your laboratory investigation to further your registration at University Health Centre, Ogbomoso Campus.